Come join us at Frostfest this Saturday, February 6, 2016. We will be located at the same spot as last year – at the end of the middle row across from the announcer’s stand and prize drum. The building layout is available here. DDXG will also be providing the Frostfest test bench. We will have a 12 volt power supply, volt meter, dummy load, and SWR/power meter available. You can perform a quick check to see if the equipment powers up and puts out RF. Please stop by and say hello. We’ll have information available if you’re interested in joining the club or attending one of our meetings. 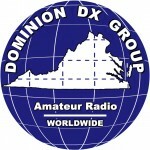 We’re also proud to have one of our members, W4DR, hosting a forum session at noon titled “66 Years of DX Adventures“. The complete list of forums is here.